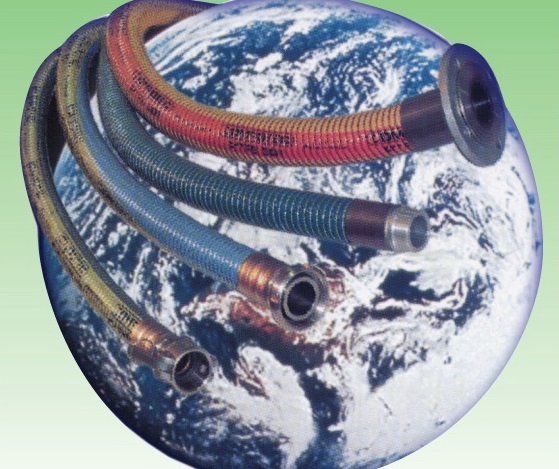 For years the name COMPOTEC® has been synonymous with special hoses for the Petroleum and Chemical Industry. * Compotec® hose is light, strong, highly flexible, anti-static and kink-proof. Yet it’s extremely durable thanks to the tensioned internal and external steel wire spirals, which give great strength. * Compotec® offers the most extensive and varied composite hose range for an extremely wide range of applications. Precision engineered end fittings complete the range. * Boasting a temperature range of -200°C (Cryotec hose), to +200°C (Hitemp hose) and pressure ratings of 10, 15 and up to 40 bar for special types, COMPOTEC® hoses are lined with either Polypropylene or PTFE, giving the hose excellent resistance to solvents, chemicals, acids, resins, and petroleum based products.